BRUSSELS (AP) — It’s probably not a long-lost painting by Michelangelo. It almost certainly wasn’t stolen by a sophisticated gang of international art thieves. 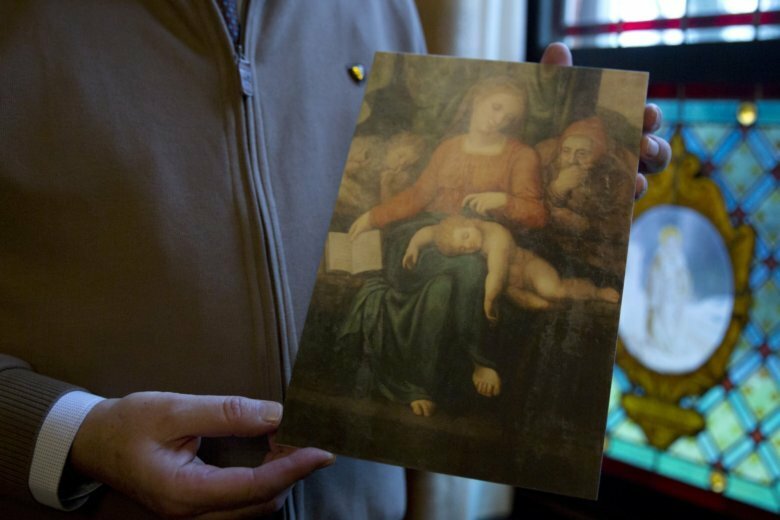 But the disappearance of a painting that a priest claimed resembled a work by the Renaissance master has Belgian investigators scratching their heads. The wood-mounted art piece — “The Silence of Our Lady” — was snatched last Friday from the Saint Ludger Church in the town of Zele, 50 kilometers (30 miles) northwest of Brussels. The priest, Jan Van Raemdonck, believes it could be a Michelangelo and says an Italian art expert was due any day to come and authenticate it. Thirteen years ago, the organization gave it to the church in Zele. It languished in a corner where it couldn’t be seen for 11 years, until Van Raemdonck moved it to a more prominent place. Just before Christmas, he proudly put it on display in the middle of the church. Van Raemdonck says he told very few people about his suspicions that the painting might be a Michelangelo, but despite his enthusiasm for the painting, art experts say it’s extremely unlikely the piece is a 16th-century masterpiece. Whatever the painting’s origins and the outcome of the investigation, Van Raemdonck has a wealth of new material for his book.